Public sector undertakings (PSUs) can become more efficient only through discipline, said Anil Swarup, secretary, department of school education and literacy, ministry of human resource development. 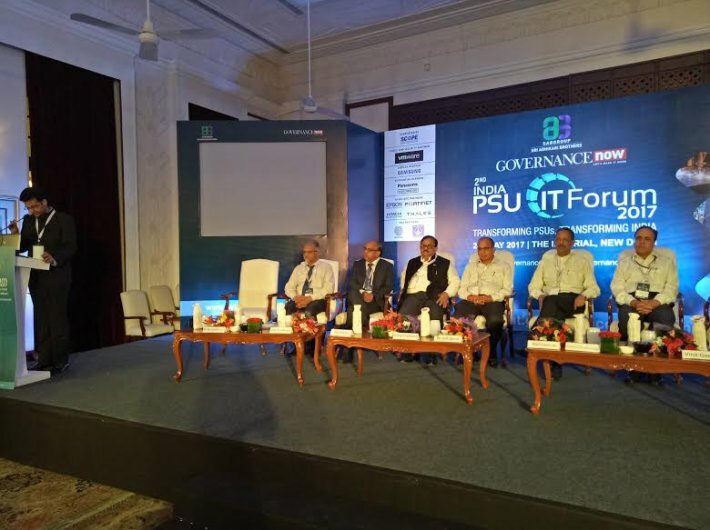 Speaking at the 2nd India PSU IT Forum organised by Governance Now on Wednesday, Swarup laid emphasis on discipline and said the enterprises need to tighten their belts and adopt information technology to the fullest. “Until and unless the PSUs disciplined themselves, I don’t think they will survive. First and foremost is internal discipline that should be maintained,” Swarup said. “I have worked with some of the finest officers associated with the PSUs. When I was working in the coal sector, I found some good officers in Coal India Limited and Coal Fields Limited. Coal sector which was riddled with serious issues about three years ago is now in surplus because of IT,” he said. Swarup said when he took over as secretary education, people told him that he must be feeling pretty relieved after being able to get rid of mafias. “When I was in coal, mining was underground and mafias were over-ground but in education it is other way around,” he said. “IT applications have really helped me. After making coal ministry paperless, we managed to do the same in directorate of education. I do not know how many PSUs have made their office paperless,” he said. He said in coal there was a lot of pilferage happening that prompted the officials to use technology. “We used GPS-equipped trucks that ultimately brought down pilferage. Their movement was tracked on virtual map,” he said. Subhash Chandra Pandey, additional secretary and financial adviser, department of heavy industry, ministry of heavy industries and public enterprises, lauded the PSUs for their huge contribution in the country’s economy. Pandey laid emphasis on the need of extensive exploitation of information technology to enhance transparency and efficiency of the enterprises. Vinit Goenka, member IT taskforce, ministry of road transport and highways and shipping, said that even after two decades of liberalisation, disruption of technology is bit slow. He laid emphasis on having more registration of patents. “Country like Japan is having over 50,000 patents while India, on other hand, has got only 2,000 patents,” he said. “The leadership of ISRO created their own market by sending satellites. They are trying to compete with United States. Every PSU should have that kind of leadership to create their own market,” he said.